Liverpool’s newest airline, Blue Air, is now offering passengers an escape from the January blues by announcing a brand-new route from Liverpool John Lennon Airport to Malaga, Spain. The new route is operating between January 12 and October 27, 2018. This new route to Malaga follows on from the success of Blue Air’s recent announcement that the airline will be flying to Palma de Mallorca in Spain from this summer. The popular holiday location was voted the most desired destination by Blue Air passengers and members of the public and as a result was added to their summer 2018 schedule. 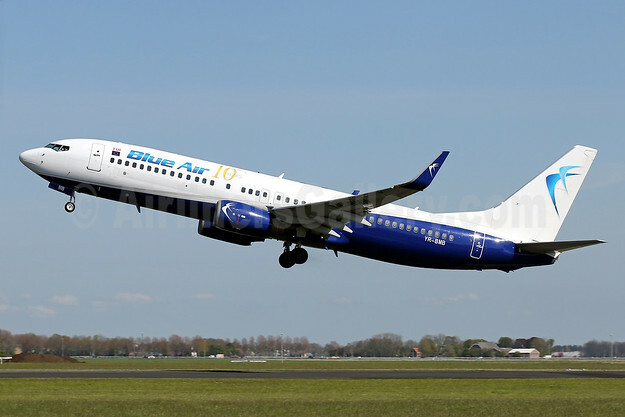 Blue Air has been operating for over 13 years and in 2017 Liverpool became Blue Air’s eighth European base in March last year with one of the airline’s 144 seat Boeing 737-700 aircraft at being located at LJLA. Copyright Photo: Blue Air Boeing 737-85R WL YR-BMB (msn 29037) AMS (Javier Rodriguez). Image: 933097. This entry was posted in Blue Air and tagged Blue Air, Boeing 737-85R WL, msn 29037, YR-BMB on January 13, 2018 by Bruce Drum.